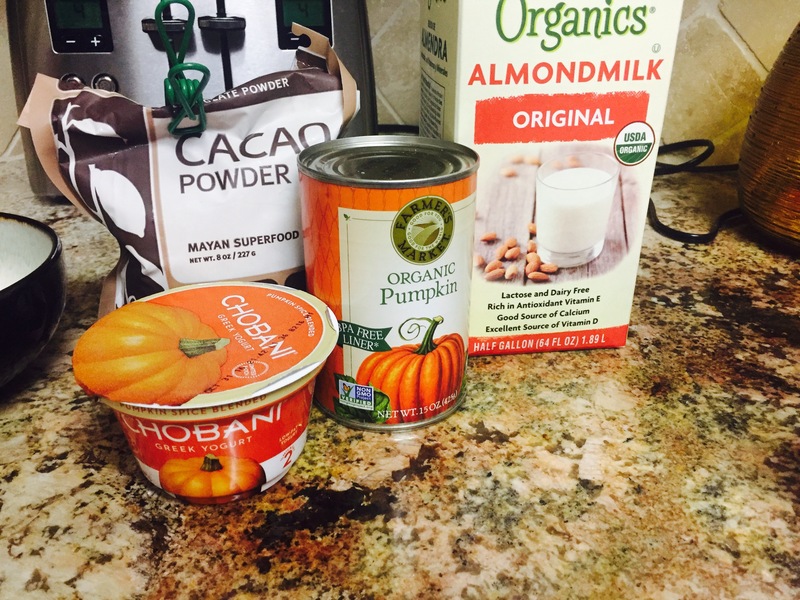 Little Week Recap and a Pumpkin Pie Smoothie! I am a little behind on blogging and I have been playing catch up for the last week since I FINALLY got my computer fixed!! I have had so many issues with it the last 6 months, and I was finally able to make an appt and take it to the Apple store. I took it in last Sunday afternoon, and I was there for a while. The tech who helped me was very kind and knowledgeable! At fist we both thought my hard drive had crashed (AGAIN), but thankfully, that was NOT the issue! My computer was in a vicious cycle of needing an update, but not having enough room to update because my hard drive was full. But, each time I attempted to pull things off onto my external hard drive, the computer would freak and not let me do it because I had not updated…See the cycle there?!? So after running some test, they were able to figure out what needed to be done. 1- remove my 20+ thousand pics and all other data. 2- Delete & wipe the computer clean. So when they called on Wed morning saying it was ready, I was thrilled. However, when I got to the store and they brought out my computer, I tried to log in and it was still having the same issues 😦 Turns out they forgot to complete steps 2 & 3 in the 3 days they had my computer! Thankfully, they were able to do them right then and there, but I did sit in the store for over an hour waiting for the “10-15 min” procedure to be finished. At the end of the day I basically have a new computer with the new operating system and it running on happy space! The rest of the week I played some catch up between mountains of laundry from sick kiddos (darn tummy virus) and lots of snuggles. On Friday I got to head out to a city on the other side of Houston from me and hang with my Texas nephew and niece! We had a fab weekend together despite it still being over 100*F with the heat index! Saturday I watched little B play soccer and baby B and I were pretty much melting on the sidelines! The highlight of the weekend was when the Hubs came out to join us and me introducing the kids to snapchat filters! I think we laughed so hard we cried a few times! If you follow me on Instagram, you can see some of the video action! As fall approaches this week, I have def been in the mood for more pumpkin based meals. I had some left over puree from my latest pumpkin creation, so I decided to make a pumpkin smoothie! Boy oh boy, it was like Thanksgiving jumped off the calendar and into my smoothie! Blend banana with almond milk still smooth. Add remaining ingredients and blend till smooth. Split into 2 glasses & sprinkle punk in pie spice on top. I even hung up my new fall door decoration I received for my birthday from a sweet friend! Come on fall, we are waiting for you! – What are you most excited about for during this fall? – What pumpkin recipes do you enjoy? Or are you more an apple person? 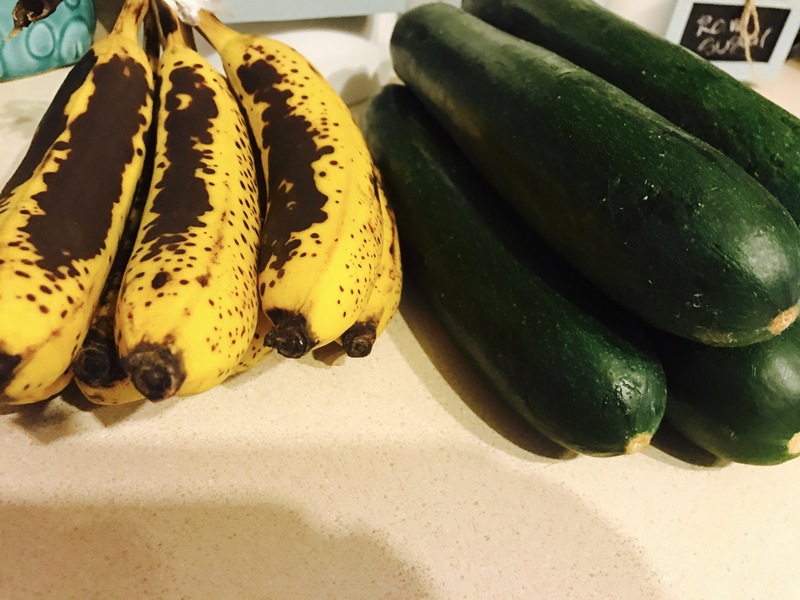 This entry was posted in gluten free, health, Uncategorized, Weekly Wrap and tagged Apple store, gluten free, nanny life, pumpkin, smoothie, weeky wrap on September 20, 2016 by chocolaterunnergirl.